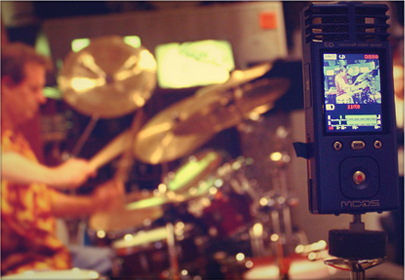 Contact Wes to schedule a recording session, clinic, or live performance. The compositions on this album were inspired by real events. They serve as reflections of significant moments from my life, during the year that saw the conception, development and the completion of this heart-felt project. The name “Journal” derives from the idea of keeping a musical diary, to write down notes by using “little black dots”, instead of using letters. Shahin & Sepehr stretch the boundaries of "neveau flamenco" by including Persian influenced melodies and truly World Beat rhythms in this, their fourth, CD on the Higher Octave label. This music combines the best qualities of New Age and Smooth Jazz to create a fresh new blend. 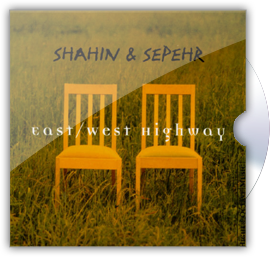 Shahin and Sepehr tour internationally and have appeared on BET, NPR, and CNN Worldbeat. 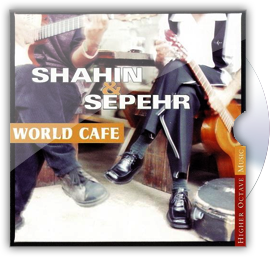 This late-2002 offering by Shahin & Sepehr extends their stylistic collage into African and Rock flavors without neglecting their Persian/Flamenco roots. Entirely self-produced and recorded in Washington, DC, "Nostalgia" brings together Shahin & Sepehr's extensive musical influences from their international upbringing. 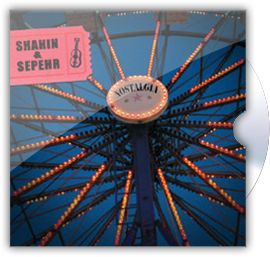 Finally, Shahin & Sepehr's "Best Of" CD is available containing their most popular songs from their four Higher Octave/Virgin albums consisting of "1001 Nights", "e", "Aria", and "World Cafe". Two never before released tracks are also included: "Melting Heart" and the video version remix of "Wild World". With production by Shahin, Sepehr, William Aura, Alain Eskinasi, Mitchell Goldfarb, and 3rd Force, this collection of instrumental romantic melodies paired with world rhythms is guaranteed to seduce the coldest heart! 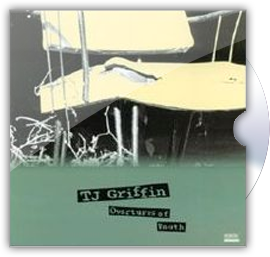 Imagine if Paul Simon, Dave Matthews, and Sade set out to create an album together and you'll have some idea of the creative talent of Washington DC songwriting vocalist T.J. Griffin! 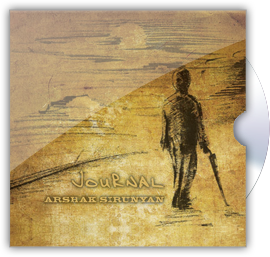 The lyrics alone are worth the price of the CD, and with Shahin's (of Shahin and Sepehr) no-nonsense polished-yet earthy production, the music elicits new insights with repeated listenings. 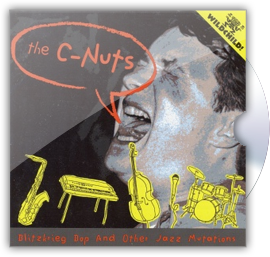 This second release by the C-Nuts (aka Cocktail Nuts) continues their formula for transforming classic Rock and Punk songs into Jazz gems. Utilizing the traditional live-to-two-track recording techniques of Pierre Sprey and Mapleshade Studios, this Wildchild/Mapleshade release will leave you wondering just who originally performed these songs anyway! 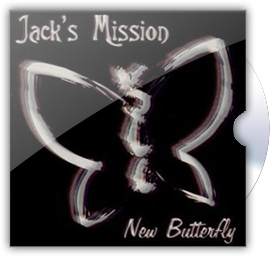 "New Butterfly" is an appropriate title for Steve Sweeney's Jack’s Mission project, for Steve is reemerging from his computer specialist job "cocoon" to again seriously embrace music after having left the New England Conservatory many years ago in order to provide a stable income for his family! 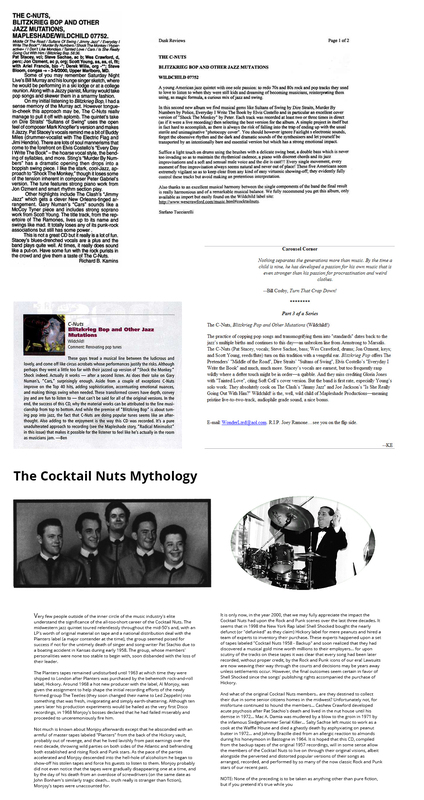 The kids are growing up now and Steve is again offering his songwriting, singing, and piano skills for the world to enjoy... imagine a raw, introspective version of Steely Dan and you begin to get the idea. Drumset artists in order of appearance Pat Petrillo, Mark St. Pierre, Brian Hughes, Will Calhoun, Myles Evans, Joe McCarthy, Phil Cunneff, Steve Fidyk, Frank Russo, Bruce Guttridge, Vince Barill, Randy Jennings, Wes Crawford, and Mark Stewart. 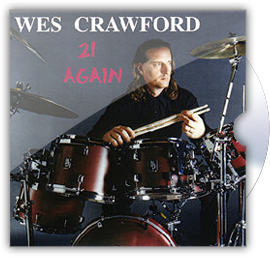 “21 Again” seems very appropriate as a title for this collection of drumset and percussion based selections... I realize that no matter how much time goes by, music continues to make me feel 21 again. 21 represents an auspicious number (winning in Blackjack, completely legal adulthood, victory in table tennis) and I feel that I have led a very fortunate life in terms of my family, friends, health, and career. 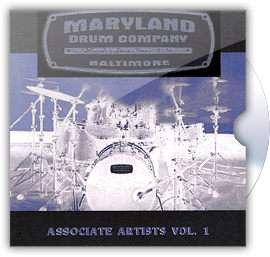 Drumset artists in order of appearance: Pat Petrillo, Mark St. Pierre, Brian Hughes, Will Calhoun, Myles Evans, Joe McCarthy, Phil Cunneff, Steve Fidyk, Frank Russo, Bruce Guttridge, Vince Barill, Randy Jennings, Wes Crawford, and Mark Stewart.